Bonjour lecteurs! Happy Easter 2018! 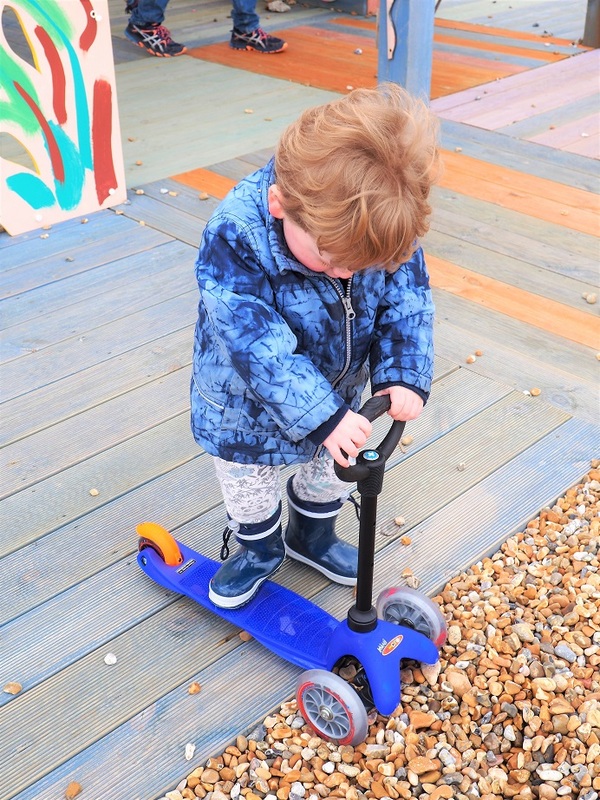 It’s been a quiet weekend for us but we enjoyed some family time in Folkestone and Baba made the most of his new scooter! So here is our Living Arrows 14/53 with Baba on wheels. His new favourite toy. I am not joking… He would even ride it at home! Micro Scooters sent us a gorgeous scooter (or trottinette in French) and Baba absolutely loves it! I discovered this brand while we were at a press day last month and I was so surprised to see how fast Baba got it. I will soon write a full review on the blog but I wanted to share some pics with him using it this week. Actually, I really struggled to get some good pictures as he is very fast on it and it is a bit difficile to catch le petit monstre on his new favourite toy! See the concentration on his face? After some practice in our neighbourhood this week, Baba was really proud to show off to people his skills on the seaside today. We went for a little excursion to Folkestone as it is Easter and Baba had a blast on his scooter. Not even scared to try it in the pebbles! I can’t wait to take Baba to the park with it. Let’s hope we have some sunny days next week so that we can make the most of it! Merci for reading our Living Arrows 14/53 and see you soon for the full review on the blog! Disclosure: We received a Micro Scooter for free. All opinions remain our own. 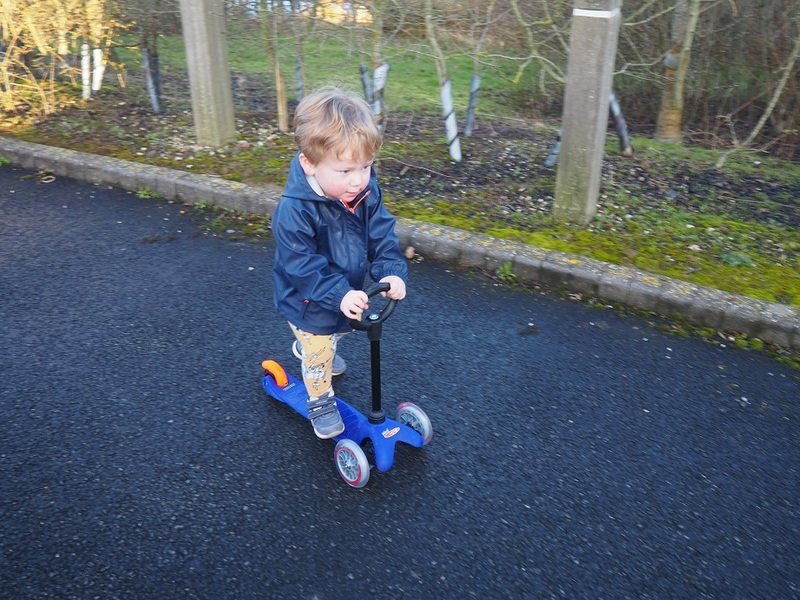 Our grandsons love their scooters and have now progressed on to bigger stunt scooters now that they are older. Micro scooters are great – I see so many little kids whizzing about the parks on them. I always thought they must be quite difficult to steer. My son wants one of these. They look cool but I’ve always wondering how safe they really are ? His balance is not the best due to a hearing issue . Looking forward to seeing how you guys get on in the park with it . I’m seriously considering one for the summer ,they do look like a lot of fun and a good way to burn some energy ! It is actually really easy to get used to it. Plus you would usually have protections and a helmet so I would consider it for sure. Ahh gorgeous pics! mine love their scooters too, they are never happier when zipping along on it! Oh bless him! My little girl loves her micro scooter. A scooter is such a fun toy. I’m glad he loves it. Awww he is going so fast and he scootles so fast too – he will keep you fit chasing him lol! Looks a great idea, gets them out and about in the fresh air! Aww he looks so happy with it! Previous Previous post: Piccolo Introduces Piccolo Pots – Let’s Celebrate With Pasta!